Madge Cleveland was appointed to the Tennessee Heritage Conservation Fund by Governor Bill Haslam. 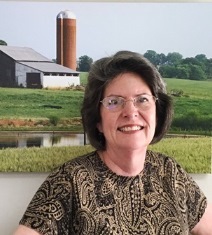 She has worked in public and governmental relations, technical writing and campaign politics and she currently serves as a judge for the Knox County Election Commission. Madge lives in Knoxville and is a 1978 graduate of Rhodes College. Madge currently serves as President of the FLC Board of Directors and currently serves as a Board Member of the FLC Properties Foundation.